Despite the fact that stocks in 3D printing companies have recently been labelled the “most hideous” stocks, the latest research has concluded that the emerging market will show colossal growth over the next five years. Following the recent report by independent research company Canalys, the global 3D printing market, including sales of 3D printers, materials and other associated services, will reach a value of $16.2 billion by 2018. 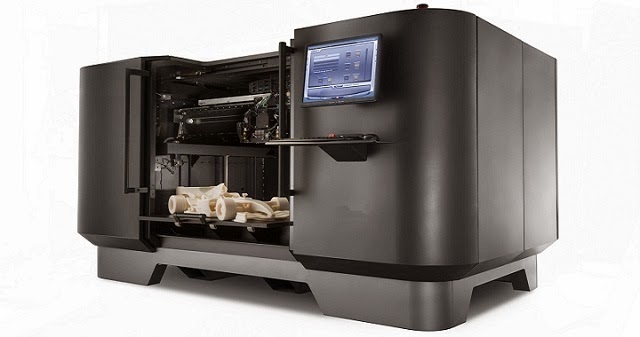 The estimates used in the research showed that the 3D printing sector was worth $2.5 billion in 2013, and this is expected to reach $3.8 billion by the end of 2014. The most exciting outcome of the report was that Canalys is expecting the value to grow five-fold during the next half decade, equating to year-on-year growth of 45.7%. 3D printing, or “additive manufacture”, which refers to the process of producing three-dimensional objects from digital models, is starting to gather some real momentum and we are now seeing transformations in major industries such as medicine and aerospace. The prices of 3D printers are steadily declining, contributing further to the potential that 3D printing provides. There has been a great deal of variation in the forecasts for how much this fledging industry can blossom. Lux Research, a Boston-based advisory firm, has estimated that the size of the market will reach $8.4 billion by the year 2025, the growth of which will mainly be supported by the aerospace, automotive and medical sectors. On the other hand, Colorado-based Wohlers Associates has estimated that the industry will experience double-digit growth throughout the coming years, eventually reaching a value of $10.8 billion by 2012. The hype surrounding the emerging industry has resulted in a substantial amount of backing on crowd-sourcing websites, such as Kickstarter. In fact, some of the highest-funded startups have been within the 3D printing industry. Despite all this excitement about the huge potential of the 3D printing industry, it has not come without the occasional hiccup. Some stock analysts have described stocks of 3D printing companies as some of the “most hideous” in the US markets. Shares in Stratasys and 3D Systems experienced massive price spikes throughout much of 2013, before steadily declining during the early stages of 2014.